The remote monitoring center connects to the tunnel data transmission control node through Ethernet, and the transmission module is set at a distance of 50m in the tunnel. 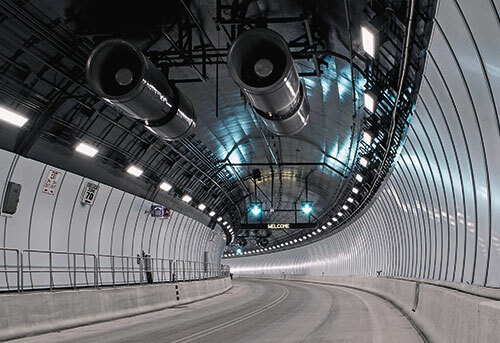 When encountering a tunnel safety accident, the radar event monitoring system can provide the best detection rate and the fastest trend reminder, so that the traffic flow and incident level of each section in the tunnel can be detected and solved in time, and to avoid upgrade to a major accident. The two-way dual-control escape guidance system can quickly and effectively guide people and vehicles to the nearest best escape route or tunnel escape door, reducing the time for persons and vehicles to wait for rescue, and minimizing the casualty rate in the accident.